So how does Homeopathy & Acupuncture actually work? Homeopathic remedies work essentially by getting the bodies own immune system to heal from within. To do this a Homeopath looks at the whole person and makes an assessment of physical, mental and emotional viewpoints. We all realise that many physical things that we suffer actually stem from feelings and thoughts and that these aspects are equally important to address as part of ones cure. Homeopathic remedies do not work to merely suppress the symptoms, but looks deep into the cause. The remedies then work to resolve any imbalance in the system and the symptoms then also resolve as a result. All remedies are made from totally natural ingredients. To get to the root cause of your heath concern, I will need to get a complete picture of your physical, mental and emotional levels. You may wonder why a Homeopath is asking about your childhood bullying in school when you are seeing them for an earache, but the root causes of many illnesses can be found in seemingly unrelated places. This is the skill of the Homeopath to discover these links and restore your natural balance. So during a consultation the homeopath will usually cover in detail many aspects of your health, family history and general life. The homeopath will try and get a sufficient holistic view to enable the assessment of the correct remedy. 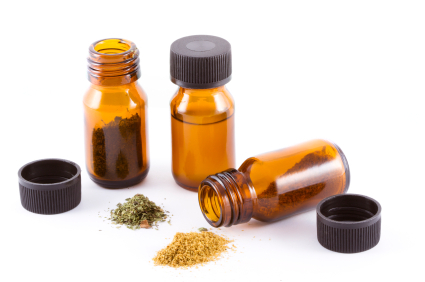 For a first consultation, the Homeopath will spend an hour to an hour and a half, discovering the relevant information to be able to devise a treatment plan for you. Your eventual treatment may consist of remedies that support particular organs, address inherited tendencies, deal with lasting effects of past illnesses or traumas or boost your overall constitution and immunity. This depends very much on the individual and factors such as your overall current level of well being and how long you have had the condition. Bear in mind that the treatment is a process that your body goes through to arrive at a natural healthy balance again. It is working from deep within you and sometimes the results are quick and dramatic or sometimes take a little longer to work through. I will have a clearer idea of how long treatment is likely to take after your first consultation and will tailor a program of treatment using the best modes whether that be Homeopathy, Acupuncture, Herbs or indeed a combination. Again, this varies but generally follow-ups visits are usually done every two or four weeks. Once you feel better, or if your general health is very good, you may want to visit your homeopath more occasionally, for example, if you need a pick-me-up, have been through a period of stress or overwork, or a health problem arises. Many patients come for a “constitutional” visit, two or three times a year, even if they don’t have any particular problem, to talk over what has been going on in their lives and with their health recently. A constitutional remedy gives a boost to the system, and helps to keep you well and full of vitality. This kind of follow-up is particularly recommended for children, as homeopathic remedies can support them through their developmental stages, and other changes they are experiencing, such as starting a new school. Will I have to change my diet and/or lifestyle? Sometimes I will give positive advice on diet and nutrition and may prescribe herbs and supplements if this will support and speed the body’s natural recovery process. After all, we are what we eat and the diet plays a pivotal role in helping the body maintain a natural balance. 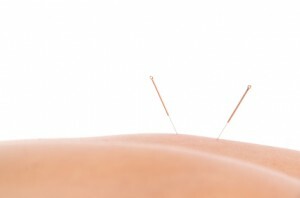 Can I use Acupuncture or Homeopathy if I am also using conventional medicine? Absolutely. There are many cases where coming off conventional medication maybe inadvisable or even unhelpful. The aim of the alternative treatment is to eventually get the body to heal from within and tackle the root cause of the illness. In many cases the body will still require support with conventional medication while the natural processes kick into place. I will work together with your existing medical practitioners if need be to ensure you receive the best of all worlds.